When Annette Munafo talks, it is with such exuberance that her whole upper body is in constant motion - perhaps that’s why her earrings are one of the first things you notice as they shake back and forth. A native of Sandusky, Annette is a sailor, a pastime her youngest son has also taken up in his adolescence. So, not surprisingly, those earrings shaking back and forth are anchors. It was the middle of sailing season on July 7, 2013 when Annette knew something wasn’t right. She had broken out in hives on her chest, arms, stomach and neck and she didn’t know what to do, so she came to Firelands Regional Medical Center Emergency Department. 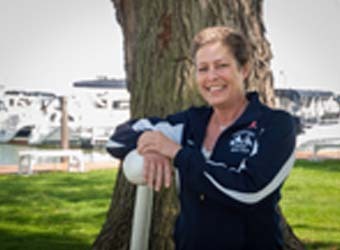 Annette thought she had acquired an infection under her left breast from going in and out of the water while sailing. But, the physicians quickly realized this was much more than just an infection. The Emergency Department sent her to University Hospitals Seidman Cancer Center at Firelands Regional Medical Center, where Dr. Amy Reese found a large palpable mass on the left breast. Luckily, Dr. Reese told Annette that her cancer was only in her left breast; it had not spread. When Annette first began her 20 weeks of chemotherapy, she still had a job and insurance. Early in 2014, she ran out of medical leave. She then lost her job and her health insurance because the physical limitations of battling cancer prohibited her from performing her job. The single mother of four didn’t know where to turn. She met with Angie McGrady, patient navigator at University Hospitals Seidman Cancer Center at Firelands Regional Medical Center. In early summer, Annette began radiation therapy at University Hospitals Seidman Cancer Center at Firelands Regional Medical Center and hopes to continue sailing with her youngest son. Angie set Annette up with several organizations, including The Foundation for Firelands. 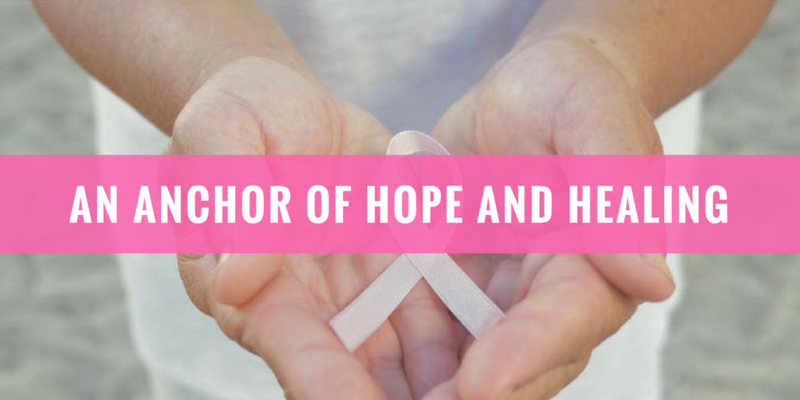 Donors to the Mammogram and Breast Cancer Fund have helped Annette get through the last several months of doctors’ appointments, treatments and daily living without a job and health insurance. Donations to The Foundation for Firelands have purchased prescription medication during Annette’s chemotherapy, medication for chemotherapy side effects, physician-prescribed massage, wound care medications, blankets and hats donated by the students at Firelands Montessori Academy and other groups, fuel cards and grocery assistance. Annette even participated in a patient support group partially funded by donations to The Foundation for Firelands. “I could’ve lost everything I’ve worked so hard for through the years, including my home,” Annette says, tearfully. “But because of the generosity of others, I’ve received the support I need to get better." © 2018 Firelands Regional Medical Center. All rights reserved.